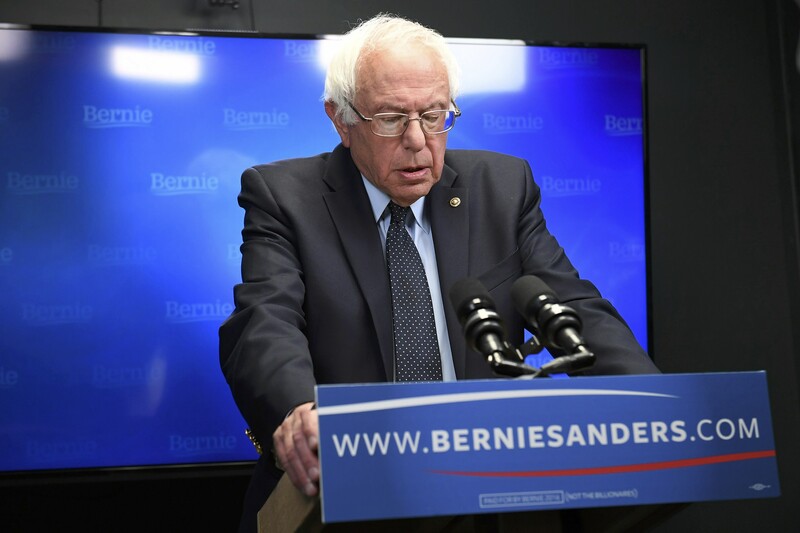 Bernie Sanders: "It doesn't appear that I'm going to be the nominee"
Bernie Sanders admitted publicly for the first time Wednesday that it's unlikely he'll the Democratic nominee in 2016. "It doesn't appear that I'm going to be the nominee, so I'm not going to be determining the scope of the convention," the presidential candidate said in an interview on C-SPAN when asked if he has begun preparing a speech for the convention next month in Philadelphia. "I've given a few speeches in my life. It would be nice to speak at the Democratic National Convention. If for whatever reason they don't want me to speak, then whatever. But I do think I'll speak at the convention," the Vermont senator added. Sanders remains in the presidential race even though Hillary Clinton is the presumptive Democratic nominee. He added that his campaign is "negotiating almost every day with the Clinton people" and he's continuing to push for a more progressive Democratic platform. "I think it is fair to say that the Democratic platform will be by far the most progressive platform in the Democratic Party," Sanders said, adding that he wants that to apply to issues including the economy, criminal justice, climate change, education and more. During the interview, Sanders was asked if the moment in one of the first primary debates when Sanders said people are "sick and tired of hearing about your damn emails" was a mistake. "It was the right thing to do," Sanders replied. Sanders' comments came a little less than a week after he spoke to his supporters via a live-stream last Thursday. In that speech, he didn't concede the Democratic race, but he did make it clear that he will fight to ensure that Donald Trump isn't elected president. "The major political task that we face in the next five months is to make certain that Donald Trump is defeated and defeated badly," he said, adding, "And I personally intend to begin my role in that process in a very short period of time." It's still unclear whether Sanders intends to drop out before the Democratic convention in July.